When learning how to make cupcakes that look every bit as good as they taste, the first and most important step is the baking process. While absolute perfection isn't necessary, the tips and instructions given below will help you to get as close as possible. They'll help you ensure that your decorated cupcakes taste as they should, that they are the right size, and more. Always take the time to preheat your oven and ensure that you set it at the precise temperature called for in the recipe. Allow about 10 to 15 minutes to make certain your oven has reached the proper temperature before inserting your muffin tins. It's important to know how to make cupcakes presentable. That's where liners play a big part. Not only do they add to the cupcake's appearance, but they make it easier to eat. However, not all cupcake liners are the same quality. As Grandma used to say, you get what you pay for. The cheapest paper liners get stuck on the baked cupcakes, making them difficult to peel off without taking little pieces of the cupcake with them. Nobody likes that. 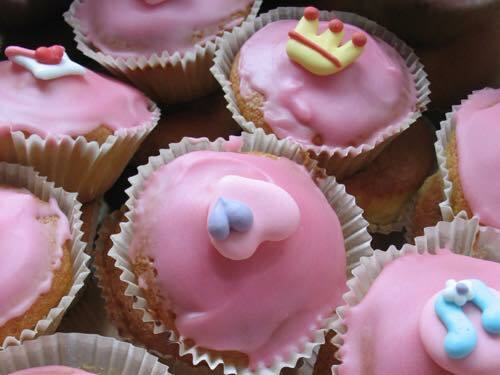 Thin paper liners also appear greasy after baking which can detract from your cupcake's appearance. So, if you plan to serve your cupcakes in their liners, choose a liner that's suitable. Consider paying a little extra for better quality. Quality paper liners for cupcakes are thicker, and some feature a nonstick coating on the inside. They work very well, and they feel pleasingly soft and natural in your hand. They are also quite decorative, coming in various colors and designs. Parchment paper liners also work well, as the parchment won't stick to the cupcakes, and it's recyclable. However, parchment paper can appear greasy after baking, and it has a plainer appearance. Tulip baking cup liners are popular for baking cupcakes and muffins, and since they are higher than the cupcake top, they're available in a variety of colors to suit any occasion. The greaseproof paper releases easily from the cupcake and offers a wide surface to catch the crumbs while eating. Foil cupcake liners can add elegance to any cupcake at a cost just slightly above the paper variety. They come in an assortment of colors and designs to suit any occasion. However, they're not the greenest of choices since they cannot be composted. Reusable silicon cupcake liners offer a good alternative to paper and foil liners. Most are sturdy enough to be set on a cookie sheet for baking, and they are reusable and dishwasher safe. They come in a variety of bright colors and have a nonstick surface, though some users recommend spraying them with cooking oil for an easier release. Edible cupcake liners offer a clever solution to those who don't care for liners. Imagine the fun of eating both the cupcake and its liner! An edible liner bakes onto the cupcake, taking on its taste and texture. Manufacturers include Bake Huggers™ and Dr. Oetker®. Unfortunately, edible liners are new and not yet widely available. Keep watching for them in stores. Finally, make sure you use the right size liners for your tin. Most "standard" (2-1/2 inch) cupcake tins can hold "standard" liners, up to the larger size liners. However, if you try to use a liner that's too large for your pan, it will distort the shape of your cupcake. If you want "extra large" or "jumbo" cupcakes, you will need a "jumbo" (3-1/2 inch) cupcake tin with its larger openings for 6 cupcakes, and "jumbo" size liners that fit these larger pans perfectly. 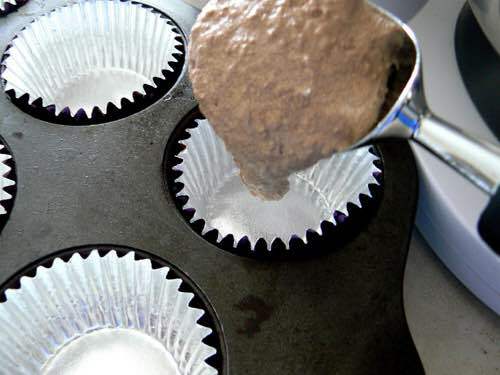 If you prefer not to use liners, make sure to grease and flour your muffin tin. Simply brush butter on with a pastry brush. Then add a little bit of flour to each cup and shake and tap the tin, so each cup is fully coated. Shake off any extra flour into your waste bin, and you're ready to add the batter. 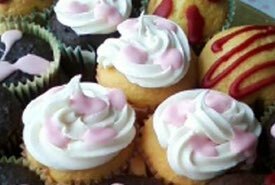 If the cupcakes are for a special occasion and you need them to be perfect, either make a practice batch first or use a cupcake recipe you are familiar with. When it's a recipe you've used before you can always be sure of the results. Learning how to make cupcakes that are perfect every time does require practice. Read the cupcake recipe in full before starting and always pre-measure your ingredients and gather the bowls and pans you'll need. A few minutes spent in preparation will help ensure you don't make any mistakes. Fill your cupcake liners 2/3 to 3/4 full. Do NOT over fill, or your cupcakes will overflow their liners while baking resulting in a real mess. A glass measuring cup with a pouring spout works well to measure out thin batter. 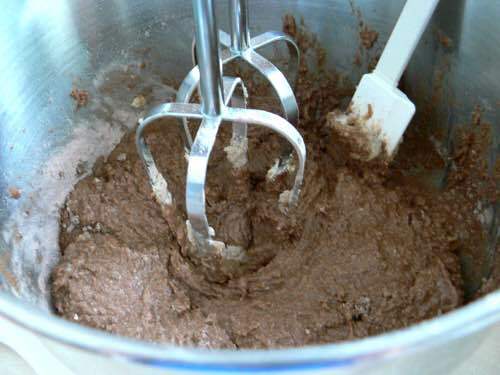 Some cooks prefer an ice cream scoop for adding the correct amount of batter to each cupcake liner. Use a medium scoop that measures about 3 tablespoons when filling standard liners. For jumbo cupcake liners, one heaping ice cream scoop should be enough. Insert a toothpick into the center of your largest cupcake (if any are visibly larger). If the toothpick comes out clean without any batter or crumbs attached, it's done. Gently press your finger on the center of a cupcake. If it jiggles or doesn't spring back instantly, you need to allow more baking time. When your cupcakes test ready, remove the tin from the oven and allow your cupcakes to sit for a moment until cool enough to handle. Don't leave your hot cupcakes sitting in their tin for long, though, as moisture buildup can cause the liners to pull away from the cupcakes. Gently remove the individual cupcakes from the tin and place them on a cooling rack for about 30 minutes. Cupcakes should be completely cool before you ice them or your icing will melt and not hold its shape. Once they've cooled, decorate them as you wish, or store them for decorating later. 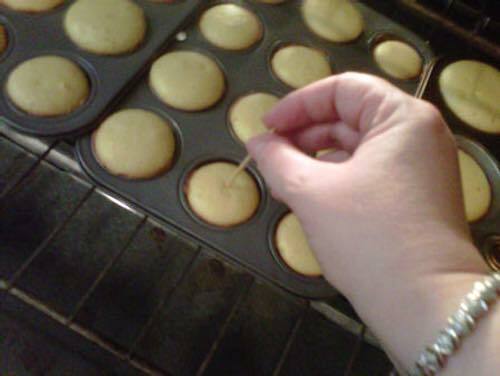 If you plan on decorating your cooled cupcakes later, cover them loosely with wax paper, so their tops remain dry. They will become sticky and harder to decorate if you cover them tightly or place them in a sealed container. Learning how to make cupcakes is easy when you follow your recipe and complete the needed steps.